Home 2008 A Year of Challenges! 2008 was year of turmoil in the financial and housing markets. For most of us in the flooring industry it has kept us on our toes. For me 2007 was far more challenging. Fortunatley we adjusted our expenses and marketing and actually saw growth and profit for 2008. Unfortunately, it was not to be for others. Banks, brokerage firms, automakers made almost daily headlines. So was it in the flooring market. One of the biggest failures was that of iFloor.com. I have in the past had a business relationship with iFoor and was both stunned and disappointed. Throughout the years the floor covering industry has had some true pioneers. Too many to mention by name. The same is to be said for Steve Simonson, the founder and CEO of iFloor. Way back before I ventured online, Steve had a vision as to what consumers wanted and set out to provide a vauluable service to them. For this, Steve caught hell from manufacturers and competitors alike. I watched and learned from the constant evolving process of iFloor.com. I was, and I am now, envious of their software and marketing efforts. So why did they fail? I am not on the inside, but from the outside looking in I would say two things caused their failure. An ambitious expansion program at the wrong time in history. Second, is the that banks do not care who fails, or what they promised, as long as they can cover up their own lack of restraint. Funding or the lack of it was the major culprit. Steve is a visionary, so he will be back. As to iFloor.com, they are in Chapter 11 and this competitor is pulling for them. Mannington Adura LockSolid Luxury Vinyl Plank – This Changes Everything! 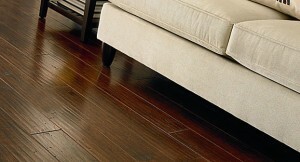 12.3 MM Piano Finish Laminate FloorsBuy Quick-Step Laminate Online?